The 2012 Chevy Volt. 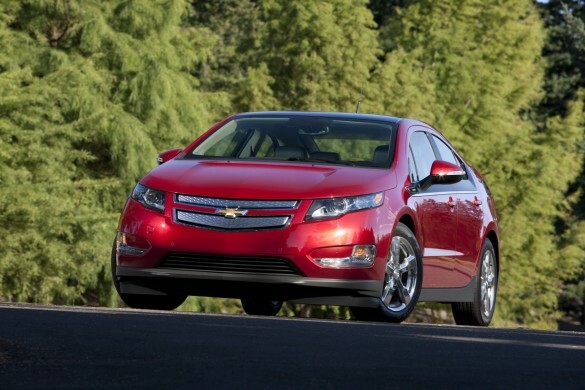 Image: GM Corp.
Consumer Reports has just released its latest owner satisfaction ratings, and the Chevy Volt extended range EV tops the list in customer satisfaction. The Volt scored 93 percent on CR’s owner surveys, edging out the Porsche 911 and the V-8 Dodge Challenger, which each scored 91 percent. The findings from Consumer Reports give the Volt some precious good news, just as the NHTSA begins an investigation into post-crash-test fires caused by the battery pack. GM has been working hard to ensure Volt owner satisfaction, offering to provide free loaner cars to Volt customers or even buy back cars from those truly concerned, but the (remote) risk of fire has been turned into a feeding frenzy by the media. To date, the only fires where the Volt was the documented cause occurred in NHTSA testing, where the car was struck from the side, then rotated 90 degrees on a rotisserie. The actual fire occurred weeks after the crash test, and the car that burned had lost battery coolant following the crash test. In the “we’ve known this for years” department, CR says that the segment with the highest owner satisfaction is sports cars, with the Porsche 911 and V-8 Dodge Challenger topping the list. Other cars in the segment that scored well include Audi’s S4, A5 and S5, the Chevy Camaro and Corvette, the Mazda MX-5, the Ford Mustang GT and the MINI Cooper Convertible. It sounds like you just got the justification you needed to trade that Camry in on a new Camaro.